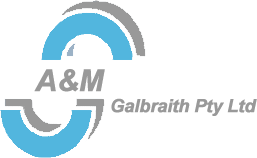 G F Galbraith & Associates have been Tax Agents and Public Accountants for the past 50 years. We are a family business with 3 highly qualified CPA Accountants and tax advisers that have an excellent relationship with the ATO. Click on the tabs below to read more about our people. Graeme Galbraith is the founder of G.F. Galbraith and Associates, having established the business 52 years ago. Graeme has been a qualified accountant and tax agent for 52 years and has held an audit licence since licences were introduced 36 years ago. Graeme is very experienced in all aspects of accounting and taxation. Graeme also has been a financial planner for 20 years and is very experienced in all areas of financial planning and has an excellent understanding of Centrelink rules and regulations. He can also assist you with your pension and retirement planning. Anita is a company director in the financial planning business. She has been involved in the accounting department since it began approximately 45 years ago. Her role over the years has been administration & accounts manager. Matthew has been involved with the business specialising in Tax, Accounting and GST for 20 years. Matthew runs the tax and Accounting department assisting businesses with all of their needs from setting up a business, completing their accounting records using whatever accounting software suits their needs and BAS as well as providing all types of advice and completing their tax returns. Matthew prepares all types of tax returns and assists clients with tax planning to pay the minimum tax they can and forward planning to help with their cash flow. Matthew can assist you with any area of tax and any aspect of accounting you may require. Tiffany joined the team in 1991 after 18 months in the Audit Division of KPMG Peat Marwick. Tiffany specialises in Self Managed Superannuation Fund (SMSF) accounting/ tax and personal tax, SMSF audits and other small audits as detailed on the audit page and runs the Audit department. Tiffany also oversees the tax share department. This involves compiling share histories for clients to enable capital gains calculations to be performed and maintaining share registries for tax and Super fund clients.